You have no excuse for not complementing your fiery attitude with some sassy accessories. Grab some fierce footwear and a pair of elbow length gloves, then all you'll need is some fiery hair. Wait... drop the lighter fluid... we don't mean lighting your hair on fire, that's just ridiculous and not mention dangerous! What we do mean is add something like these bright red curly clips that make your hair pop. With these red-hot curls mixed up with that natural bouncy hair of yours, everyone will know that you're the feistiest girl at the party. Do you plan to be a classy Queen of Hearts or something more along the lines of a mischievous jester or sarcastic clown? 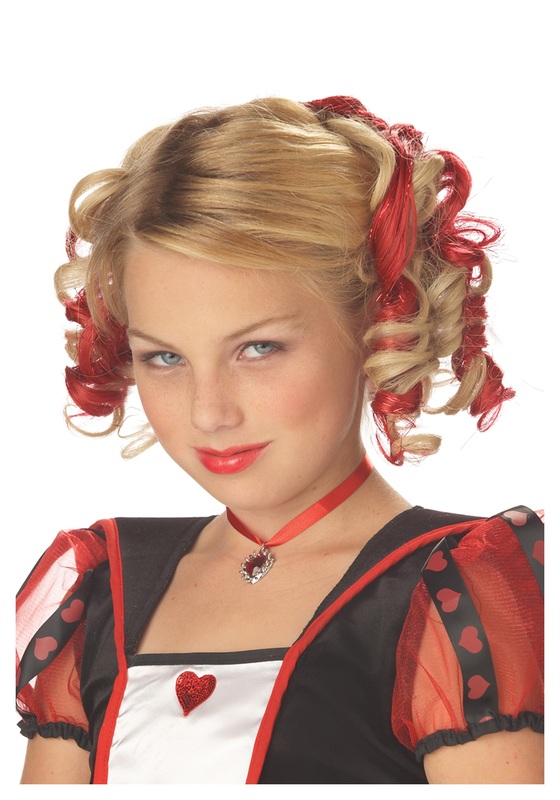 Well, your costume can't reach it's full potential until you add these lovely strands of red curls to your hairdo! Let all your sass out and don't douse your fiery attitude a bit when you run around this Halloween sporting these Red Curly Hair Clips!